The rules and regulations that govern driving in Europe vary from country to country. Much of the best advice is common sense – ensure that your trip is well-planned, that your vehicle is in good working order and that you take your time. Our checklist below is not intended to be comprehensive but covers what we think are the most important points. If you breakdown on a motorway in France you will have to use the emergency phones at the side of the road to call out the recovery service operated by the French police – nobody else is permitted to attend broken down vehicles on this type of road. You will be charged a fee, but this should be reimbursed by your own breakdown provider. Alcohol limits for driver vary slightly from country to country – the best advice is to avoid drink completely if you are driving. Disposable breathalyser kits remain on the list of items you are required to take with you when you drive in France (see other items listed below), but there is no fine for not having a breathalyzer in your car. In January 2013, the French government said the fine for not having an unused breathalyzer with you (which was to have been €11) has been postponed indefinitely. In other words, you are supposed to take one but there is no fine imposed for non-compliance. Under French law, drivers are already required to carry a fluorescent vest, warning triangle, replacement headlamp bulbs and a rudimentary first aid kit. The high-viz vest is to be worn if the driver has to step out of the car after breaking down or simply stopping on a busy road. Don’t assume your car insurance covers your trip abroad – most policies include basic third party cover for driving in Europe but the only way to be certain of your level of cover is to read your policy or contact your provider. Some degree of reduced-cost care is available in most European countries, but the service is not always comprehensive and the cost of repatriation in the event of an emergency is never covered. The ETA provides comprehensive holiday insurance – with discounts available for those who choose not to. Need holiday insurance? If you have young children and are hiring a car abroad, you might consider taking your own child seat with you. It might seem like a hassle, but the seats provided by the car hire company get a lot of use (and abuse) and to make matters worse, if it is a model you are unfamiliar with, you may find the local staff unhelpful – they are often told that for reasons of legal liability they are not allowed to fit the seats themselves. A GB sticker on the back of your car is compulsory wherever you are driving in Europe, unless you have number plates that include the GB euro-symbol. If you have neither of these, you could receive an on-the-spot fine. France, Italy, Spain, Portugal, Austria and Croatia all require that drivers carry a reflective jacket or tabard for use if the car breaks down. All cars in Europe must carry a warning triangle, and cars in France must carry a reflective . The ferry companies will gladly remind you of this and charge around £50 for a kit including a tabard, replacement bulbs and a first aid kit. The same kit will cost half that price on the high street. You will need to adjust your car’s headlamps to suit driving on the right as failure to do so will dazzle oncoming drivers and could land you with a fine. Headlamp beam converter kits are widely available but Halogen or Xenon headlamps may need adjustment by your dealer. The paper counterpart to the British driving licence was recently scrapped, so car hire companies now check to see if you have penalty points by viewing online records stored by the DVLA. If you hire a car in Britain or abroad, you may need to give the hire company a code which allows them temporary access to these records. The code remain active for 72 hours. In other words, if you are hiring a car abroad do not request the code too far in advance. If the code expires, you will need to request another one. With your permission, the car hire company can call the DVLA on your behalf but they may charge you for the call. How do I get the driving licence check code for a car hire company? To see if you have endorsements on your licence, a car hire company needs your permission in the form of a code. 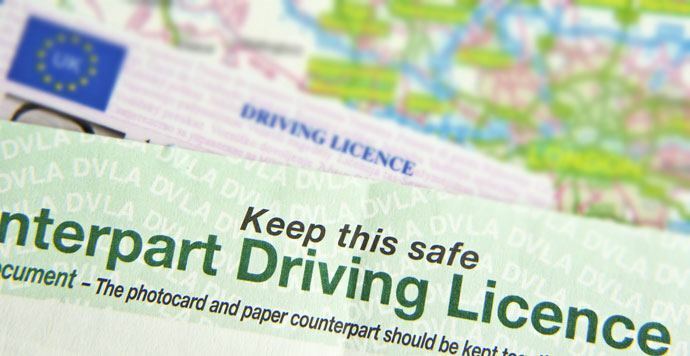 To obtain the licence check code, visit www.viewdrivingrecord.service.gov.uk or call 0300 083 0013. How much does it cost to get a driving licence check code? Getting a driving licence check code is free. If you are hiring a car abroad, and haven’t provided a check code in advance, the car hire company will wait until you arrive to pick up the car before phoning the DVLA. This can be time-consuming and you may be charged for the international call. Can I still hire a car without the code? Yes. The code simply allows car hire companies to save time by checking your driving history before you arrive to pick up the vehicle. If you do not have the code, the car hire company can call the DVLA to do a driver check over the phone. If you are one of the 8 million drivers who still have a paper-only driving licence you won’t have to go through any of this rigmarole. As well as being 100% carbon neutral, breakdown cover from the ETA offers an unparalleled level of service. On top of this, we offset the carbon emissions of the recovery trucks that go out to assist you, reducing the impact your breakdown has on our environment. Every breakdown policy you buy helps fund the work of our charity, the ETA Trust, which we set up in 1994 to campaign for a safer, cleaner transport future.